All in all, this sounds like it could be a really fun movie, and I’m a big fan of Grace, so I’m glad whenever he signs onto a movie. There’s definitely some potential here, but Levinson’s last comedy, What Just Happened, was a flop critically and commercially, so I’m wary. 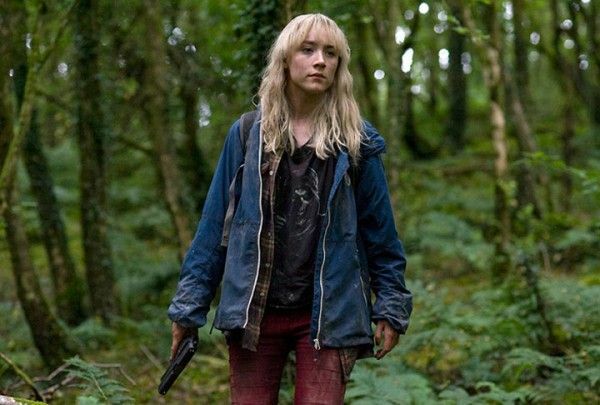 Finally, Saoirse Ronan is set to lead Brooklyn. THR reports that Ronan will play Eilis, “who moves from a small town in Ireland to Brooklyn, where, unlike at home, she has the opportunity for work, for a future and for love, in the form of Italian-American Tony (Cohen). When a family tragedy brings her back to Ireland, she finds herself absorbed into her old community, with Jim (Gleeson) courting her. As she repeatedly postpones her return to America, Eilis finds herself confronting a choice between two men and two countries.” Rooney Mara was previously set to star, but that was over a year ago. I like Ronan, but I’m hoping she’s not playing her little-girl-lost character yet again. I’m also concerned about the love triangle, which sounds kind of sappy.